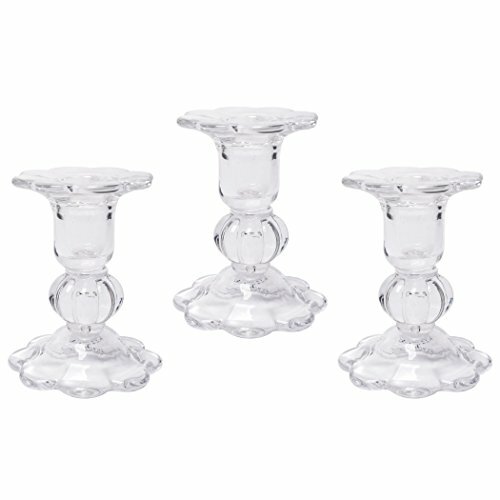 Hosley's Set of 3 Glass Taper Candle holders - 3.9" High. Classic Decor for Wedding, Party, Gifts. Bulk Buy, Spa, Aromatherapy. Each holder measures 3.15" x 3.15" x 3.9". For use with taper candles only. USES: These are just the right gift for a wedding and can be used for a party, reiki, spa. The tapper candle holder can complement a variety of decors and will use Hosley's tapper candles.